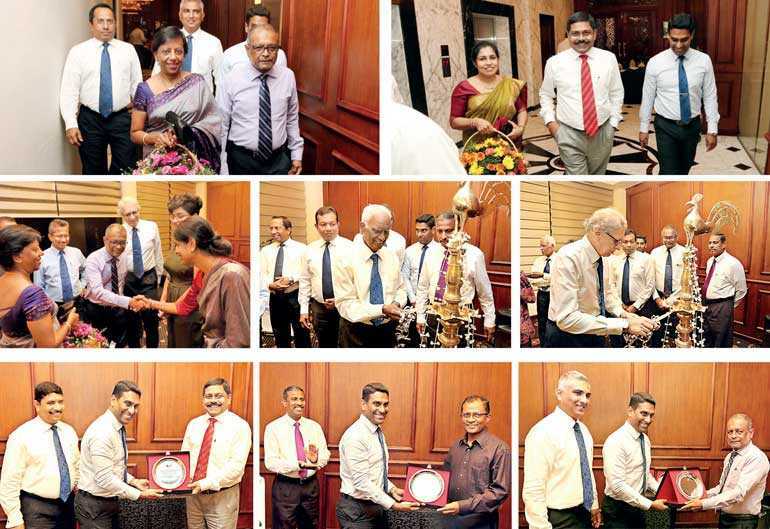 Following a tradition, Association of Professional Bankers Sri Lanka recently felicitated three of its members that were appointed as Chief Executive Officers. At a gala event held at the Kingsbury Hotel on 2 August, Commercial Bank of Ceylon PLC Managing Director and Chief Executive Officer S. Renganthan, Pan Asia Banking Corporation PLC Director and Chief Executive Officer Nimal Tillekeratne, and Bank of Ceylon General Manager and Chief Executive Officer Senarath Bandara were felicitated by APB Sri Lanka. Speaking at the event, APB Sri Lanka President Asanka Ranhoty welcomed the three new CEOs and their spouses and stated that APB Sri Lanka is proud of its members that have reached the pinnacle of their profession. He further stated that peer recognition is the highest form of honour one can get in a profession. The felicitation ceremony was followed by fellowship and dinner and was attended by the Executive Council and the Council of Advisors of APB Sri Lanka.